Birminghams was founded just after the Civil War in 1871. The city was an industrial and railroad transportation giant. It was named for Birmingham, England, a major metal manufacturing industrial city in England. 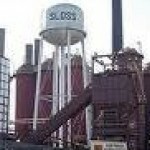 The Sloss Furnaces operated as a pig iron-producing blast furnace from 1882-1971. It is one of the only industrial sites in the United States that, after closing, has been preserved for public use. In 1981, it was designated a National Historic Landmark. 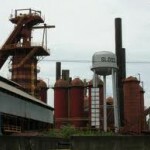 The Sloss Furnaces are currently used for festivals and a nationally-recognized metal arts program. There is also an interpretive museum on site. 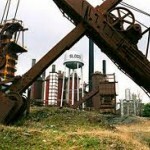 The “Sloss Fright Furnace”, an annual haunted attraction is held on site each year at Halloween as well. People have reported seeing the ghosts of workers who perished here have been reported at the Sloss Furnace.